Winner of the Newbery Medal, Cynthia Rylant has also received the Caldecott Award and numerous other honors. 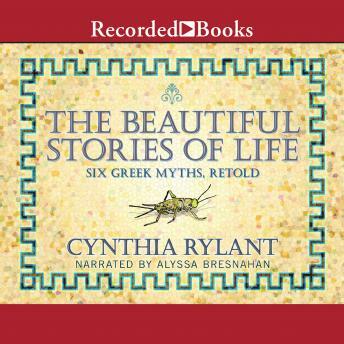 In The Beautiful Stories of Life, Rylant vividly retells the Greek myths of Pandora, Pygmalion, Narcissus, Perse-phone, Orpheus, and Psyche. Exploring classic themes of love, destruction, vanity, and redemption, these tales will introduce young readers to the exciting world of Greek mythology.